Nicholas Jermyn also received a car allowance of €19,796 this year. THE CEO OF St Vincent’s Hospital has released details of executives’ salaries, including his own, which reveals more than half of his €293,669 salary for this year came from funds generated by the hospital’s private service. The hospital had previously told the HSE that it would not disclose payments made to senior staff because of data protection issues and because they come from private funds. However today, Group CEO Nicholas Jermyn sent a letter to the Director General of the HSE Tony O’Brien providing details of his salary and that of five other members of staff. This year, he received €136,282 of a salary from the HSE, with an additional €136,591 from the hospital’s private funds. He was also in receipt of a privately funded car allowance of €19,796. The hospital’s director of finance and company secretary receives an additional €32,544 on top of his €108,332 HSE funded salary and the director of nursing got an extra €14,853 on top of her €81,552 HSE salary. Jermyn said there are three other people who are in receipt of additional taxable income, totalling €28,211, from private sources. The hospital’s CEO emphasised that all remuneration is fully tax compliant and there are no charitable donations involved. In his letter, he pointed out that the healthcare group is “unique” in its sector as it combines the provision of care in both public and private hospitals within a single entity. He said an issue that has particularly concerned the hospital is that this uniqueness has been “misunderstood or ignored in much of the debate”. “The public/private co-location model that we achieved was actively promoted by the DoH (Department of Health) up to recently as a major driver of government policy,” he said. “It was with this in mind that the private hospital was redeveloped”. He added that St Vincent’s is not the only organisation with employees who have additional commitments in the private sector. “Indeed many employees across the wider public service have commitments in the private sector, which continue to be in place,” he said. Jermyn told O’Brien that the Chairman or other non-executive directors of the board would be available to meet with him in early January, as requested. Today’s letter comes after harsh criticism from the Public Accounts Committee, with chairman John McGuinness saying the failure to disclose additional payments was “not good enough”. Last week Senator John Crown alleged that members of staff at the hospital were deliberately charging private health insurers for cancer drugs which had been given to the hospital for free. The hospital denied this, saying an investigation stated there had been no evidence of collusion or fraud by staff. A spokesperson for Health Minister James Reilly said the HSE will be meeting with senior figures from St Vincent’s Hospital in the first week of January to discuss these matters. “The information in tonight’s letter will be examined in that meeting,” they said. 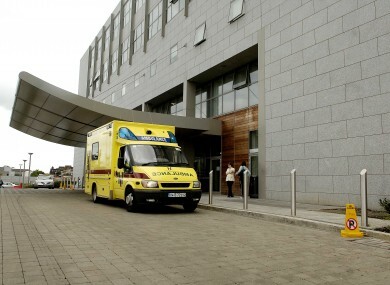 The HSE has said the meeting will take place on 6 January. Email “St Vincent’s Hospital CEO paid €136.5k on top of HSE salary”. Feedback on “St Vincent’s Hospital CEO paid €136.5k on top of HSE salary”.